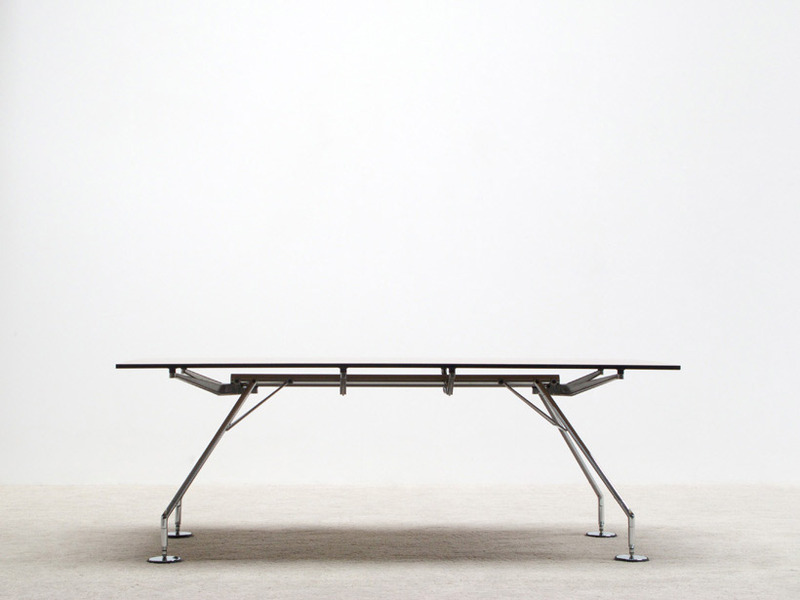 Industrial dinning, meeting or desk table called Nomos. Designed by Norman Foster for Tecno Italy. Tubular chrome structure with wood laminated top. Table industriel de salle a manger, conference ou sinon bureau, modèle Nomos. Conçu par Norman Foster pour Tecno Italie. Structure tubulaire en chrome et table en bois laminé.